First and foremost, staying hydrated will help decrease fluid buildup in your sinuses. If your sinus symptoms are strong and medicine hasn’t helped with your breathing problems, you might want to consider a rhinoplasty procedure. 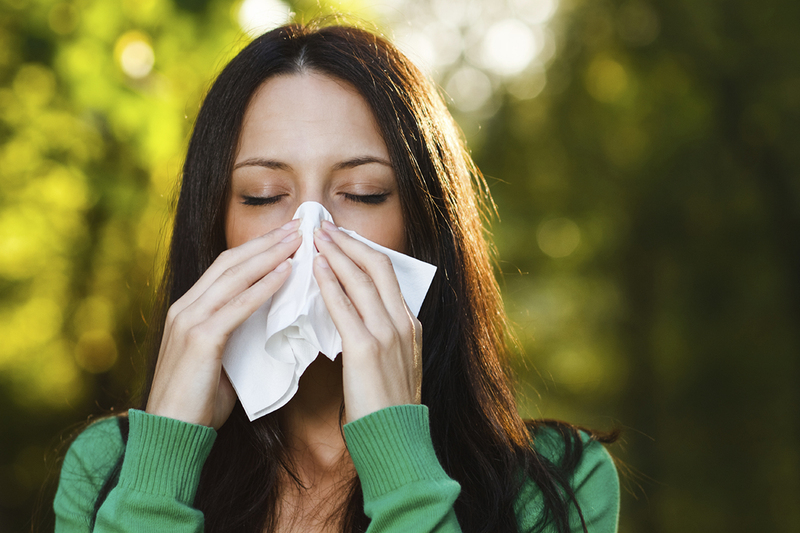 Although the procedure cannot cure your allergies, it can open airways and aid breathing problems caused by nose structure. Rhinoplasty is a highly beneficial procedure for solving the breathing problems we mentioned, in addition to addressing any dissatisfaction you may have with the shape or size of your nose. We perform both ‘open’ and ‘closed’ rhinoplasty procedures, with the distinction being whether the incision is made on the outside or inside of the nose. In an open rhinoplasty, an incision is made across the strip of tissue separating your nostrils. This technique allows for the greatest visibility of the inner nasal structures. In a closed rhinoplasty, incisions are made within your nose, and scars are not apparent externally. There are advantages to each technique and we’d love to discuss which is right for your specific needs during your first free consultation!